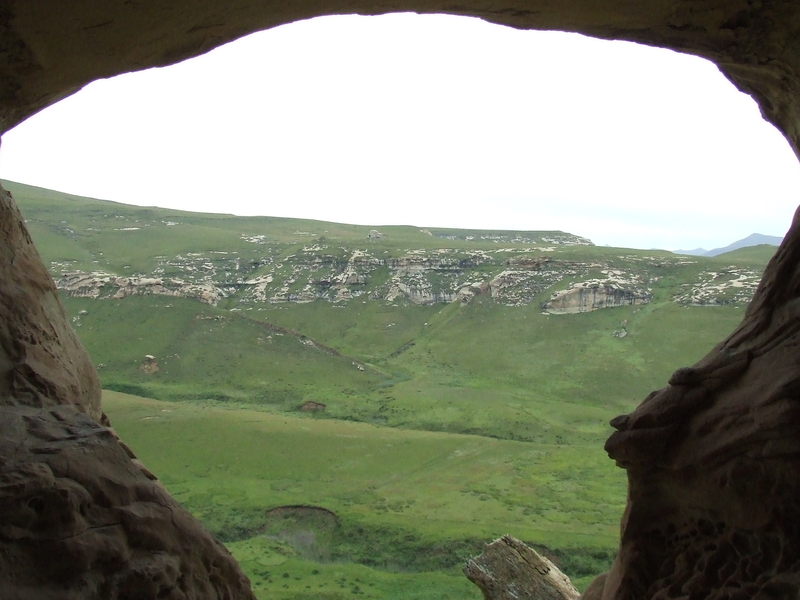 As the name suggests, Holkrans (Afrikaans for “Hollow Cliff”) is a huge cavern in the vast (~50m high) cliff face. The 2.4 km circular route starts and ends at the Golden Gate Hotel and should take an hour to complete. 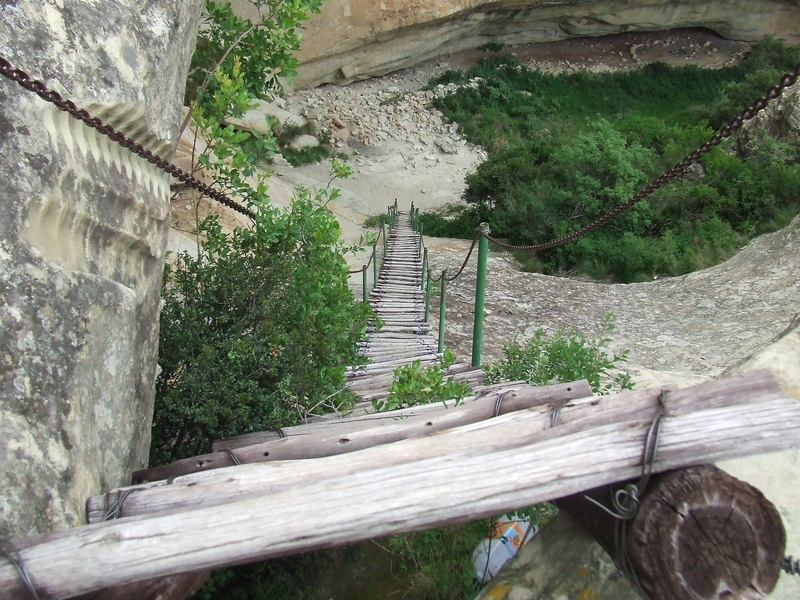 Once you reach the Holkraans Cavern you have to make your way up the sandstone mountain-side using a wooden ladder. This is the most physically difficult section of what is mainly a easy walk along a clear pathway. This route offers some of the clearest views of the sandstone cliffs because, unlike the other short walks; it is predominantly without any dense bushes or shrubs flanking the pathway. Near the finish of the route, the path rounds a corner and offers a wonderful view of the cliffs of Brandwag Buttress. 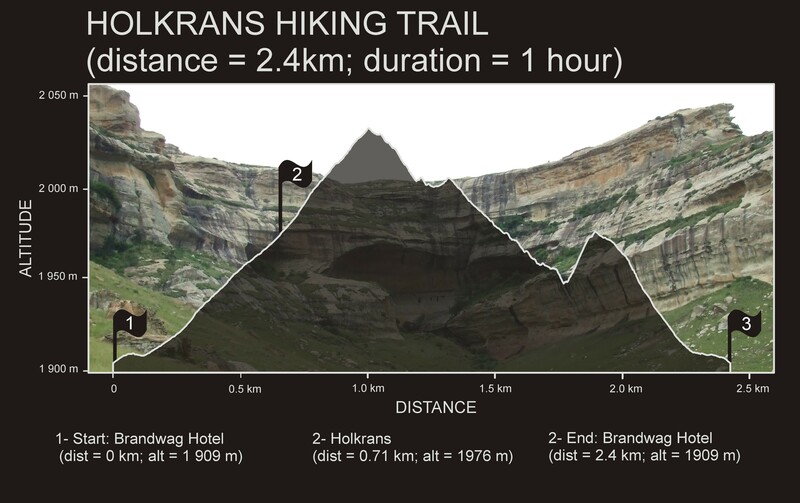 Thanks for taking the time to document the trails in Golden Gate Highlands. We spent a night in one of the chalets and took this loop in the morning based on your reviews. It is a perfect trail to accompany a day trip through the park, though it took us about 2 hours (we stopped a few times to take it all in). While the total distance from the hotel is actually quite small, the loop provides an astonishing array of views and micro-climates. For those interested in this trail, there is also an idyllic bench on the edge of a bluff as well as a number of places within the rock hollows to sit and meditate or take a break for a snack or packed lunch. The ladder was a bit steep, and requires hands as well as feet to climb for kids and adults to balance. For the investment in time and energy, the views were spectacular.